Here's how it all began. What an Earth Day! 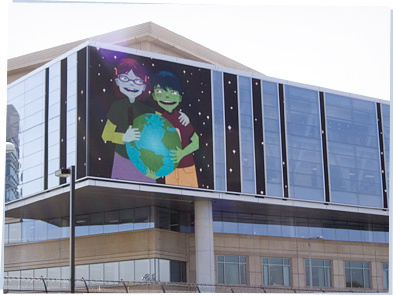 To celebrate, our pals at WGBH in Boston put us on their mural. They have a cool, green building and it's got a giant plasma skin that you can see from miles away. WGBH helps us put the GREENS site together. They also make shows you might have heard of like ARTHUR, Curious George, NOVA and Antiques Roadshow. 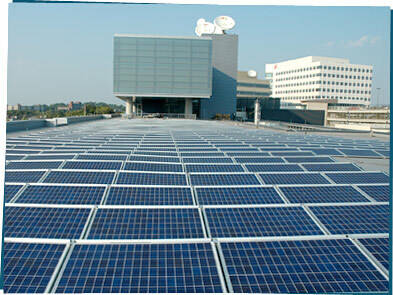 WGBH has a brand new building and it's a green one. There are solar panels on the roof, great recycling, energy efficient lighting, and special toilets that save water or use none at all. That's gross and cool at the same time.